I'm not exactly sure how to sum up my cosplay life this year. Overall it's been good, but due to affordability issues I wasn't able to go to a few cons I wanted to. Of course, most of that was to balance out the cost of my one new, and oh so epic, con for the year: Dragon*Con, so I suppose it was worth it. I am still sorry for missing out on a chance to see my New York/New Jersey buddies though. Overall I attended 4 conventions (3 as an attendee, 1 as staff; none as press) and made 5 new costumes, plus helped with 2 for my boyfriend, known to the cosplay world as Neige. I started out my year with Anime Boston in April, aka BirthdayCon. I brought with me 4 costumes, 3 of which were totally new: Eternal Sailor Venus, for Shiva's epic Eternal Sailors group; schoolgirl Urd for Kurthy's original design schoolgirl group; and priestess Miaka to Stardust462's Yui in the Hall contest. 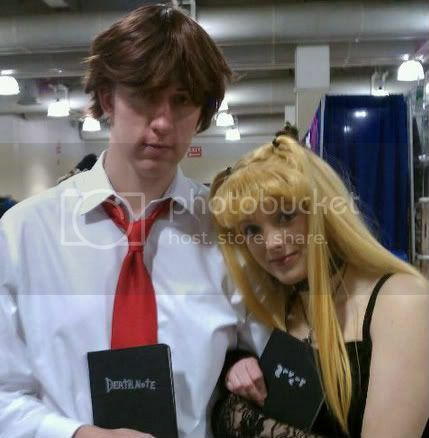 I also brought my Misa Amane costume for a duo with Neige as Light. The Eternals group was fun, but caught a bit of a scheduling SNAFU in that we weren't all able to get in the same place at the same time all in costume, plus our Moon wasn't able to make it to the con at the last minute. We still had an epic group anyway. Many thanks to Shiva's boyfriend Sketch for being our photographer. Kurthy's Ah! Megami-Sama schoolgirl uniform group is based on a group she did last year at Dragon*Con. The photoshoot was nice and low key, which is always good for a Sunday. Nobody knew who we were, but they loved our costumes all the same. 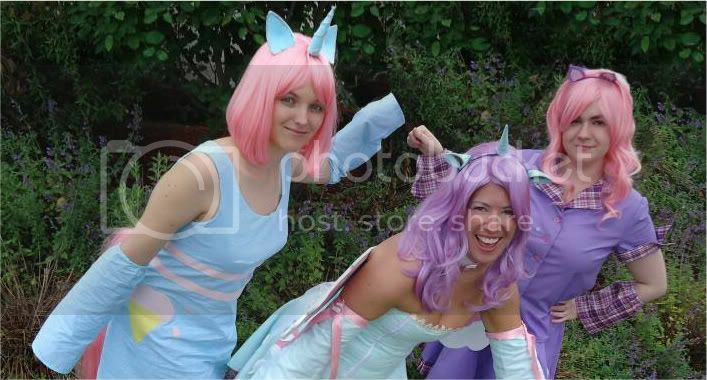 AB was Neige's first con, and thus first cosplay. We decided to start out simple and got him a wig to use with some stuff from his closet as Light. I also got/made him a DeathNote as a finishing touch. As always I had fun donning my Misa outfit, especially with a Light to hang onto the whole time. 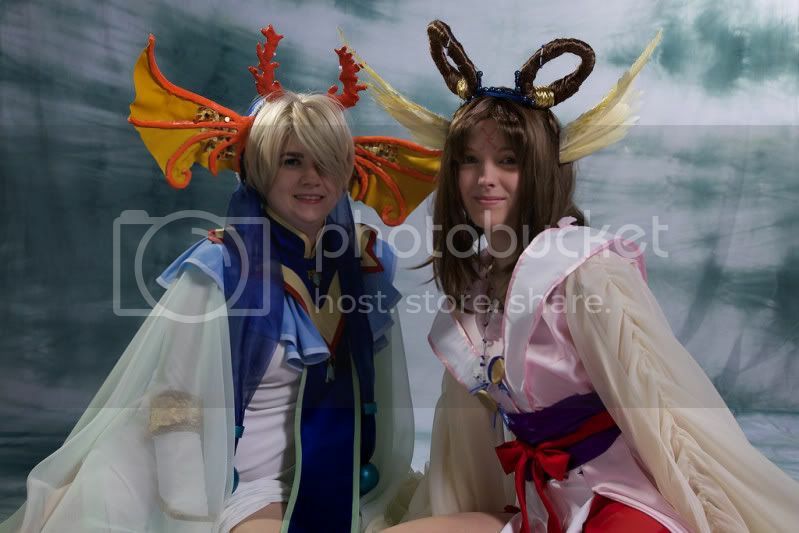 My most involved costume though, of course, was Suzaku no Miko Miaka. This was an idea that Stardust462 and I had been talking about for months and took on several different forms (including a skit!) until we settled on the specific artbook/wallscroll outfits to recreate for the Hall Contest. I started the bulk of my work in January and spent about 80 hours total to create the garment, wig, and accessories. It all payed off though because we earned ourselves second place in the Masters division. Due to time and money Neige and I were only able to attend 2 days of PortCon. I made a new My Little Pony inspired costume for a group with Shiva and Stardust462: Coco Berry from the Sundae Best toy series. The con was pretty low key, mostly hanging out with friends. “Mom” & co. gave me an honorable mention for my costume, which was a pleasant and flattering surprise. I also did pretty well selling some of my old stuff in the “garage sale,” something I certainly plan on taking advantage of again in future years. For my third year on staff I took on a slightly different position in the guest relations department, though with many of the same duties I'd already held. I was in charge of airport pick-ups/drop-offs as well as welcome bags/letters/info for all guests and some other miscellaneous scheduling too. 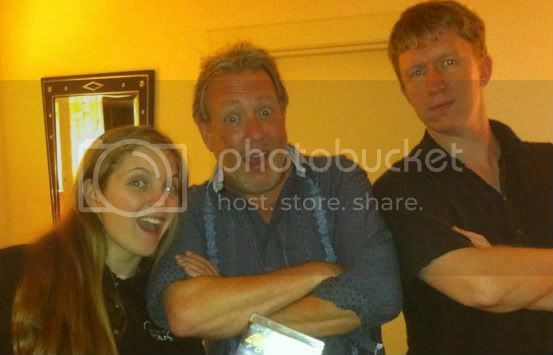 I also was the handler to Mr. Jon St. John, a really fun guy best known for voicing Duke Nukem. I really enjoyed meting all the new guests as well as spending time with old friends we'd hosted before. For our final con of the year Neige and I joined our friends from Animecons.com for a special first-time trip to Dragon*Con. This was a big deal for us, not only because it was my first time ever flying to a con, but because Neige was recovering from a broken leg. It turned out to be a double edged sword, however, because we were able to skip to the head of some lines (like the Jonathan Coulton concert) and get priority seating at most panels. Of course, while these were nice perks to simplify life, they were nothing compared to how things could have been were Neige uninjured. I brought 3 costumes for the event, one of which was new. First, the Eternals group from Anime Boston was reprised, though still not complete. We got some awesome photos from Judy Stephens anyway and still plan on attempting a complete group some day soon. We also expanded the Sundae Best group to include Chinako. Plus, as the resident pony collector of the group I managed to find and buy the whole Sundae Best set off ebay in the weeks coming up to the con for us to pose with. 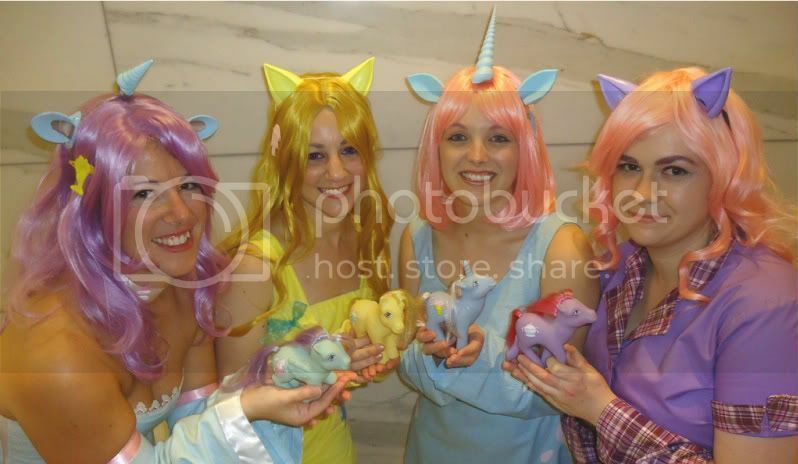 Even amidst the popularity of Friendship is Magic everyone loved our old school toy-inspired ponies. We hope to bring the group back in the future with two others to complete our Sundae Best set. 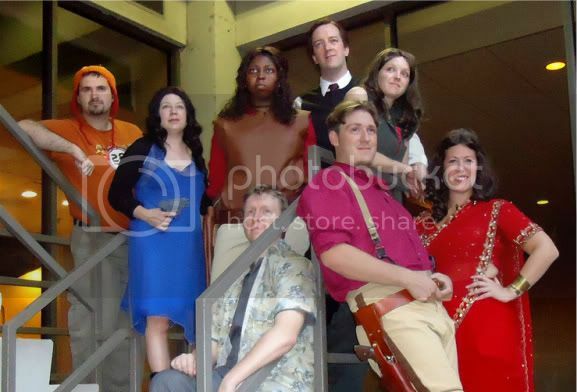 My new costume for the con was a revamp of my old Kaylee Frye costume for a big Firefly group. I helped Neige out with a Wash costume too. If only we'd remembered to get him dinosaurs! We even almost managed a full cast when we ran into a Zoe cosplayer, but we still couldn't find anyone dressed as Book. Much as the cost prevented me from attending other cons, it was so worth it in order to attend Dragon*Con. Neige and I plan on going back again, and are dragging a few more of our friends down next time too! 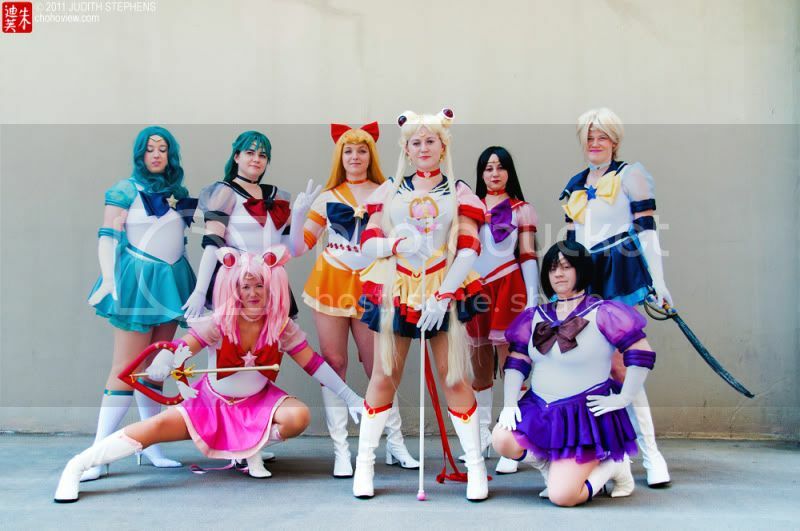 Sometime in late October, as I was working on my upcoming Cosplay Safety panel series, I decided to start this blog. So far I'm very happy where things are going. Some posts come out better than others, but it's not like I'm getting paid for this; I'm doing it for fun and to hopefully help others a bit, particularly novice cosplayers who are fairly new to the hobby. I feel like I'm on a good start and very excited to see where this blog may lead me in the coming year and beyond. I've already got big plans for 2012. 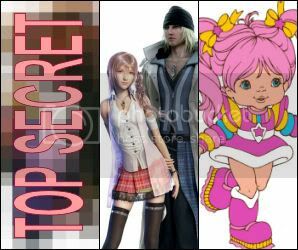 A top secret masquerade group for Anime Boston with Shiva and others, a Serah & Snow duo with Neige (hopefully done in time for AB), a big Rainbow Brite group at Dragon*Con, and with some luck a few costumes pulled out of the graveyard such as Mami, Ariel (and her mermaid sisters), Amelia (maybe Pokota too), and possibly even Hikaru! I'll be hitting up Anime Boston and Dragon*Con for sure, as well as staffing ConnectiCon. PortCon and AnimeNEXT are both tempting, but I may only be able to afford one. Would love to try to make it to AnimeUSA too. Only time, though, will tell what the year will bring.